Looking for Amish furniture in Nebraska? 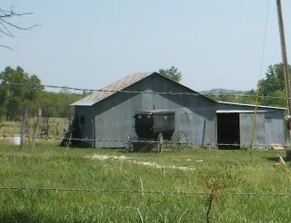 The Cornhusker State is home to two small Amish settlements. Residents of Omaha, Lincoln, Grand Island, and other Nebraska cities can find a number of Amish furniture dealers within easy driving range. Large showroom of Amish-crafted furniture including curio cabinets, bedrooms, dining rooms, living rooms, Amish office furniture, desks, tables, cedar chests, shelving, benches, more. Wide range of furniture produced by 100+ Amish craftsmen suppliers from Holmes County, Ohio. Poly furniture, cabinets, coffee tables, hutches, bar stools, dining tables and chairs, more. Wide selection of bedrooms, nursery, office, lawn styles, patio and outdoor furniture, children’s furniture, plus custom Amish furniture. Mission-style furniture in solid oak, quartersawn oak, maple, brown maple, cherry, and more. Delivery to US and Canada. Featuring the Simply Amish brand along with many non-Amish producers. To find Amish furniture outside Nebraska, visit the Amish Furniture national directory, with full listings of Amish furniture retailers in North America. Note to Nebraska residents: Please be sure to check opening hours of any Amish furniture businesses listed in this guide before traveling long distances. While we strive to keep this directory up-to-date, business locations and schedules can change. Not responsible for changes to information. Amish have lived in Nebraska off and on since the late 1800s. Today, two small Cornhusker Amish communities can be found at Pawnee City in Pawnee County, and near the towns of Orchard and Ewing, in Antelope County. Relatively young settlements, Amish living here make a living through small business and other economic pursuits. Amish previously lived in the state before being compelled to leave over schooling issues in the 1980s. Read more about Amish in Nebraska. Amish have shifted in large numbers from agriculture toward woodworking and other businesses in recent years. Though dairy and other forms of farming remain popular, not all Amish can afford the large initial outlay needed to start a farm. The small furniture shop present Amish with an opportunity to work at home while harnessing manual skills, often learned from a young age in an apprenticeship format. Amish furniture making often involves the entire family, with children learning a work ethic and busy Amish housewives even pitching in when needed. Quality- Amish craftsmanship is renowned. Amish furniture is marked by attention to detail and high quality materials. Dovetail joinery is common, as is precision staining and finishing. Amish typically use solid hardwoods to produce their furniture pieces, including oak, hickory, maple, quartersawn oak, cherry, and more. Attractive Styles– Amish furniture craftsmen show a remarkable versatility to create furniture pieces in a wide range of styles. These include popular classic styles such as Shaker, Mission, Colonial, Craftsman,and Queen Anne, as well as contemporary designs. Longevity and Durability– Amish furniture is built to last. Often described as “heirloom-quality”, buyers of Amish furniture expect to pass their pieces down to the next generation. Small-scale appeal-unlike mass-produced furniture, Amish furniture is typically made in small shops located on an Amish home property. Buying Amish furniture means supporting a traditional way of life and community. If you’re looking to buy Amish furniture in Nebraska (or elsewhere), there are generally two main options. The first is to locate an Amish furniture maker in-state. Nebraska is home to only 2 small communities of Amish, in Antelope and Pawnee Counties, so the possibilities to purchase direct from an Amish furniture manufacturer are limited. Alternatively, you can buy furniture from a Nebraska Amish furniture store. Amish furniture stores in Nebraska and other states with low Amish populations often purchase and re-sell Amish furniture from producers in other areas, particularly the Midwest. A diverse range of Amish furniture is available at the Nebraska stores listed above. Finally, some prospective buyers consider buying Amish furniture online, an option with benefits including convenience and access to a wider selection of products.